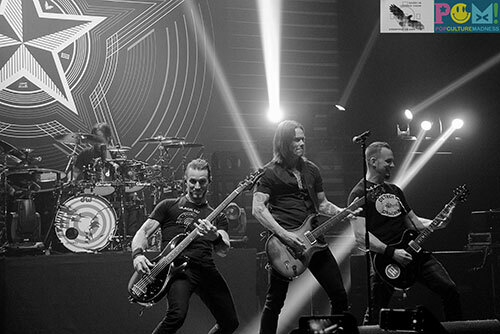 (TRR) Alter Bridge returned to The Wiltern Theater in Los Angeles, California on February 19, 2017. The iconic venue is perfect for a rock show, as every platform and balcony seat was full of dedicated fans soaking in each moment of brilliance. The synergy between Mark Tremonti and Myles Kennedy was palpable, as they shared vocals and traded guitar leads. Drummer Scott Phillips and Brian Marshall are as tight and talented as any rhythm section, after performing for 2 decades together. With 5 albums to choose from, Alter Bridge has reached the enviable position of having too many outstanding songs to choose from, making each tour and show potentially different. The band even let fans vote on which songs they wanted to hear in each venue, with “Slip to the Void” being the most memorable rarity on this particular evening. 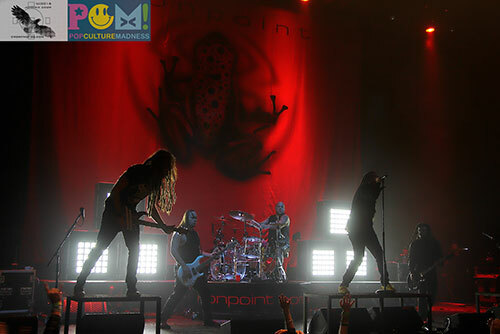 Nonpoint warmed up the crowd with their typical high energy blend of rock and roll. 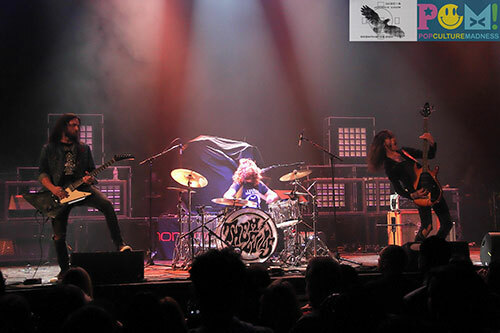 Their entire set was performed in the dark while backlit by bright white lights. That made it hard to see them, but created quite the mood on songs like their cover of “In The Air Tonight”. Orange County rockers Them Evils were a late addition to the lineup, but a very welcome and fitting one. The guitar-driven trio played a spirited set which was well received. All in all, it was a magical night of musical brotherhood. 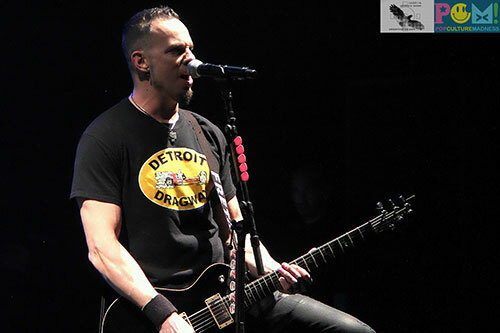 Tagged Alterbridge, concert review, Mark Tremonti, Myles Kennedy, review.